I-AM took our client, heritage eyewear brand MOSCOT onto the biggest platform in London’s fashion calendar with designers PPQ for their Spring/Summer 2017 catwalk presentation. Setting up an initial meeting with PPQ founder Percy Parker in MOSCOT’s London shop, we then identified two bold acetate frames featuring bespoke customised lenses for the show – the KEPPE and MECKIE with graduated red and green lenses. The show, entitled “La Fiesta” motivated by the ancient Spanish region of Navarra, was MOSCOT’s inaugural venture into London Fashion Week after launching their first European shop in London’s Soho back in December 2015. 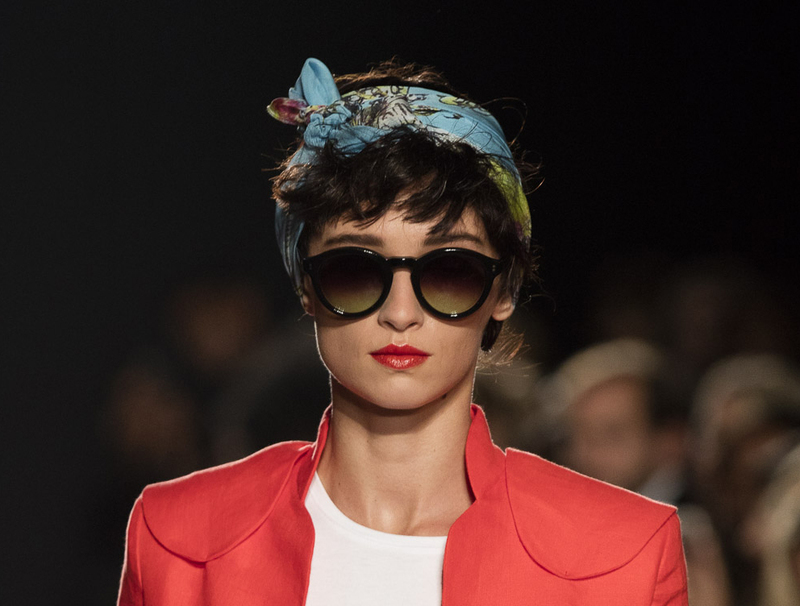 “Given PPQ’s shows are always attention grabbing, and our MOSCOT styles aligned so well with the designers’ visions, it was a naturally perfect fit,” he added. MOSCOT began in New York’s Lower East Side more than 100 years ago and now has shops in Manhattan, Brooklyn, Seoul, Tokyo and London.